There’s a lot to be said for the dedication that Tech N9ne fans have. For example, if there is no Tech N9ne appreciation day, what do you do? You make your own, which is exactly what DJ Moby has done in this YouTube video.DJ Moby hosts his own channel on YouTube, and took the time to declare a Tech N9ne appreciation day. In this particular video, DJ Moby explains his respect for Tech N9ne’s music, and even takes the time to give short reviews on some of Tech’s biggest albums, including: K.O.D., Sickology 101, Absolute Power, Anghellic, and Vintage Tech. 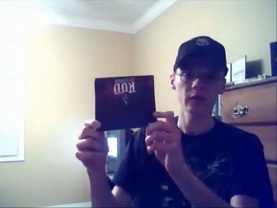 Check out this fan video and have your own Tech N9ne appreciation day! What did you think of DJ Moby’s reviews on Tech’s biggest albums? Leave your thoughts below!